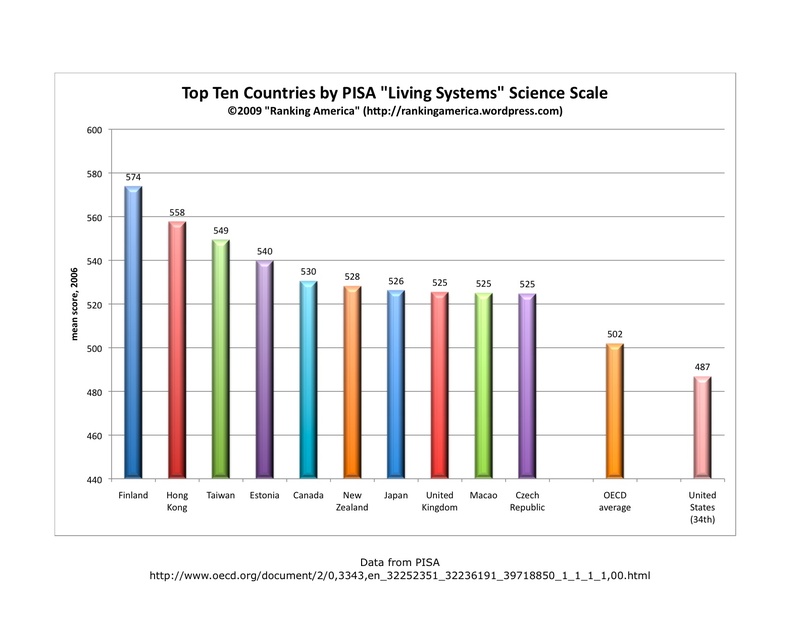 According to the 2006 PISA science assessment, students in the United States had a mean score of 487 on the “living systems” scale, which makes the United States rank thirty-fourth in that category. 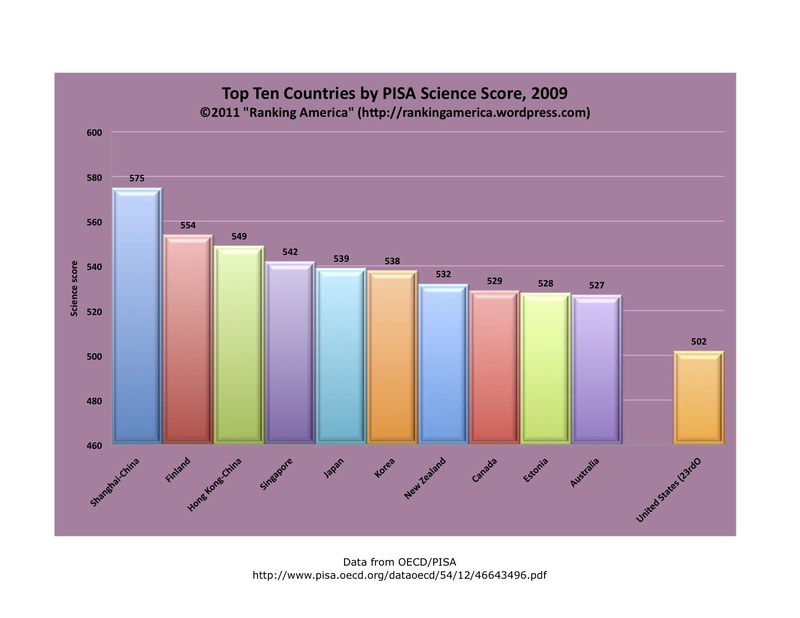 Finland ranks first, with a score of 574. 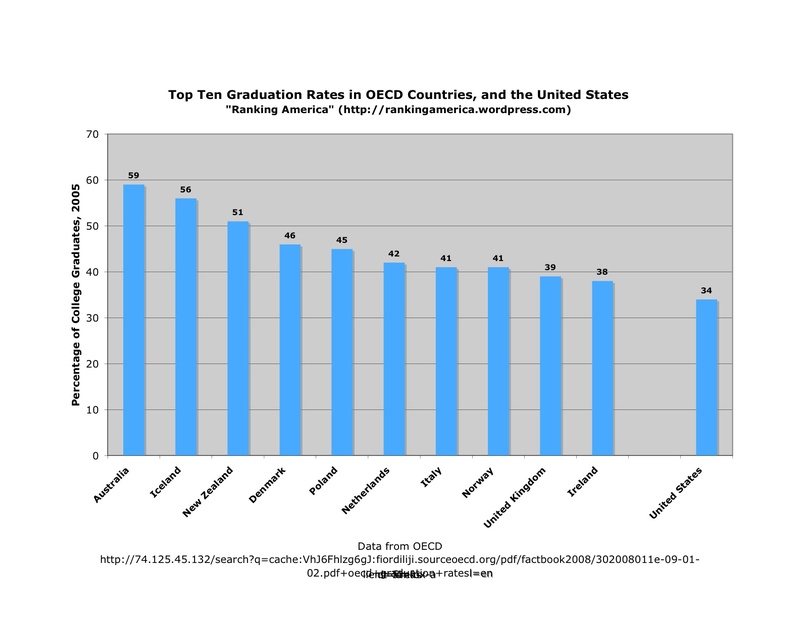 The OECD average was 502. 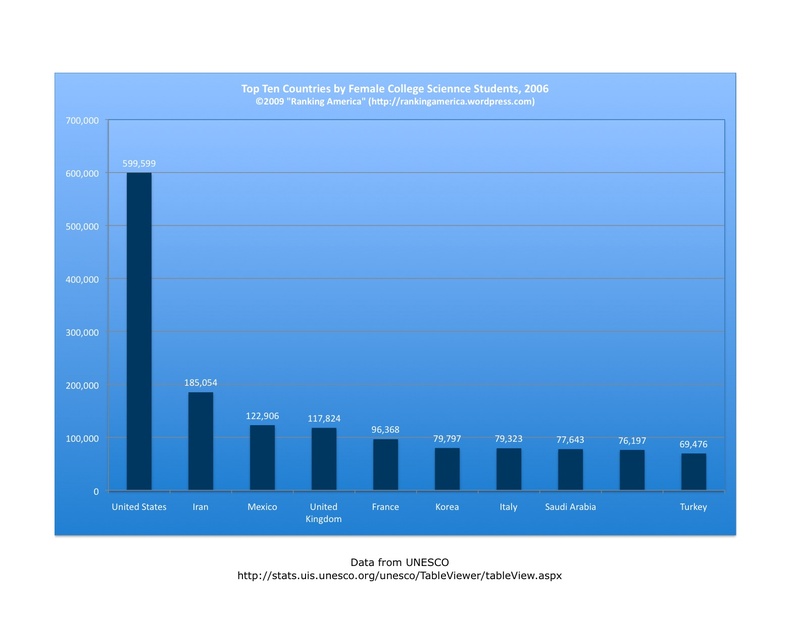 According to UNESCO, in 2006 there were 599,599 women in American colleges and universities majoring in the sciences, which makes the United States rank first in that category. 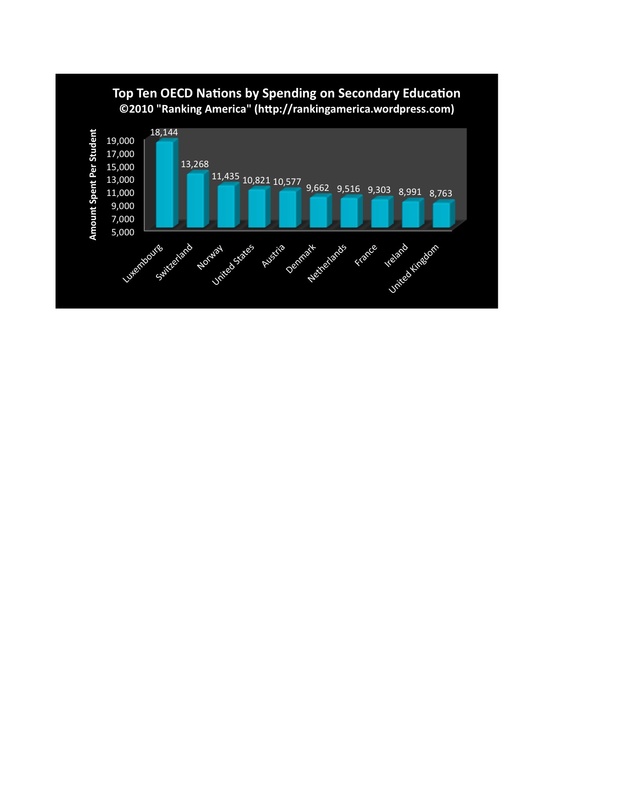 According to a 2006 study first published in the magazine, Science, the United States ranks thirty-third out of thirty four nations (32 in Europe plus Japan and the United States) in acceptance of evolution. Iceland ranks first. 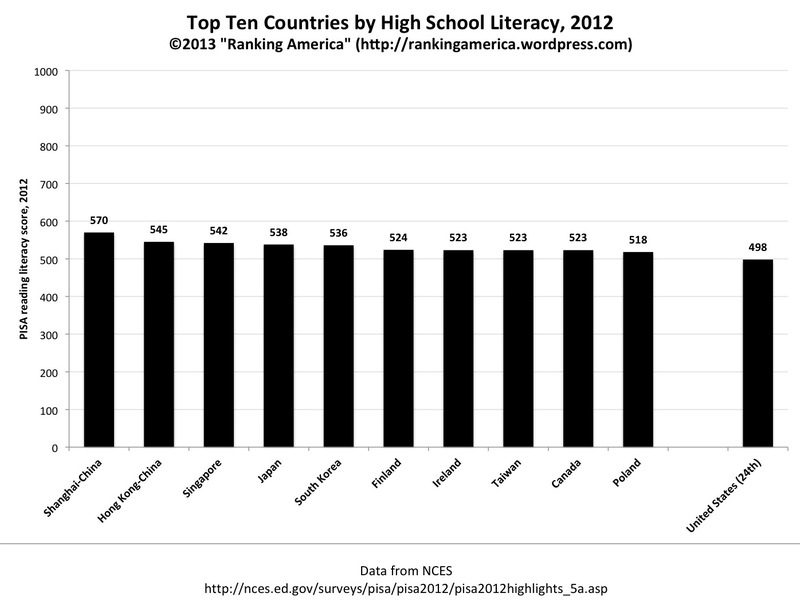 Only Turkey ranked lower than the United States in the acceptance of evolution. 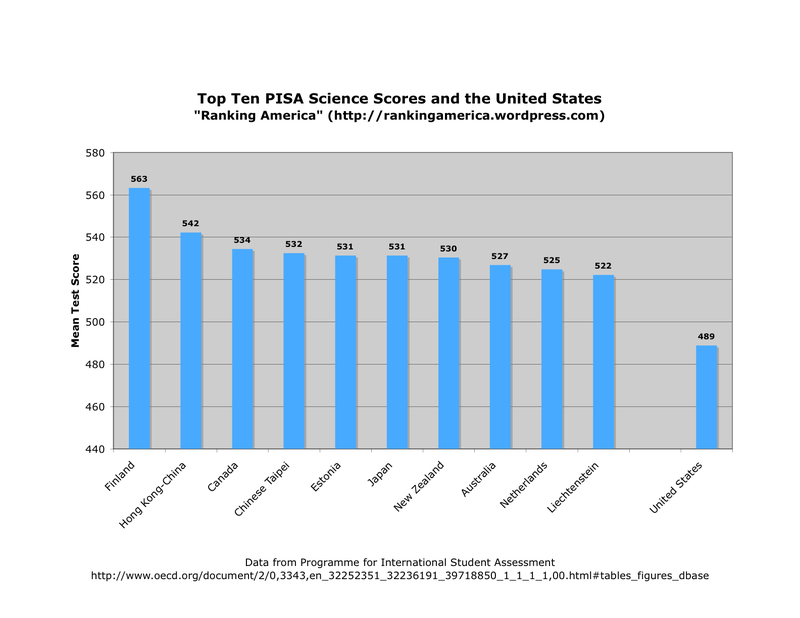 According to the OECD Programme for International Student Assessment, in 2006 the United States ranked twenty-ninth in student performance in science. 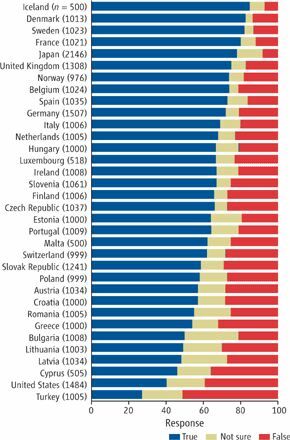 Finland ranked first.